This post is part of our special coverage Kony 2012 . Anyone following online citizen media closely this month, would inevitably have come across the heated global debate over the Invisible Children viral campaign  to stop Ugandan war criminal and rebel army leader Joseph Kony . While the Kony 2012  campaign certainly received the attention it sought, many Ugandans and Africans felt its message lacked the nuance required by context, and was more focused on raising funds for the organisation's own survival rather than empowering the people affected by the conflict. 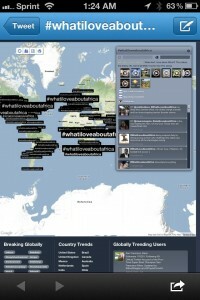 As a counter measure , many people started posting stories on Twitter about “what they love about Africa” with the hash tag #WhatILoveAboutAfrica . The initiative, spearheaded by Semhar Araia , a blogger at the Diaspora African Women Network (DAWNS) , started to trend worldwide on Twitter  on March 13, 2012. While no one argues with the merit of exposing the despicable crimes perpetuated by Kony's Lord's Resistance Army , the following citizen media commentaries explain why this debate is more than just a “meme  war” but a struggle to reclaim the international perception and narrative about an entire continent. When a group of North Ugandans, the main victims of Kony's crimes, were showed the Invisible Children's video in a public screening, they were not particularly pleased with the content of the video as is seen in an Al Jazeera English video  below. 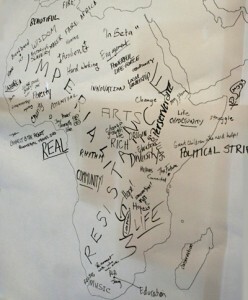 Reclaiming the narrative about the African Continent through social media is not a new endeavor. In 2007, a similar campaign brewed throughout the African social media when several prominent bloggers invited fellow bloggers to weigh in on “Why I blog about Africa” .